In a large stock pot, sauté the onion and garlic in melted butter over medium high heat until tender. Add the frozen broccoli and carrot and continue to sauté for 5 minutes. Pour in the chicken broth and Velveeta cheese. 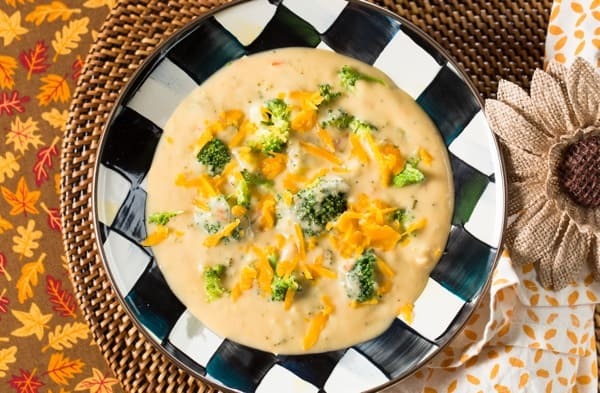 Stir together until the cheese melts into the broth. In a small bowl, mix together the cornstarch and milk. Reduce the heat and add it into the pot.